We are highly appreciated in the international market for our highly effective range of Hypertension Drugs. Processed using high grade chemical compounds, these Drugs are used to treat high blood pressure. These Drugs are tested on certain parameters of quality to ensure their effectiveness. 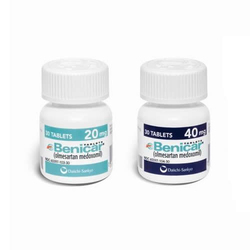 Our range consists of Generic Medicine, Olmecip Antihypertensive Drug, Carloc Antihypertensive Drug and Losartan Hydrochlorothiazide. 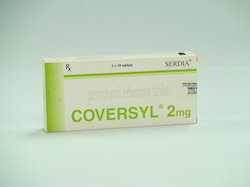 Positioned in the industry as a reliable exporter and trader, we are engaged in offering our clients with Coversyl 2 mg Tablets. Our offered tablets are demanded across national and international markets for their highly effective nature. Post-procurement, these tablets are checked on various parameters by our quality controllers. 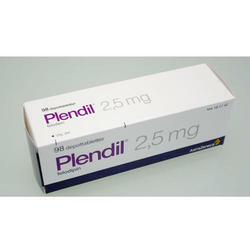 Counted among the illustrious exporters and traders, we are engrossed in offering our customers with Plendil 2.5 mg Tablets. Effective in nature, these tablets are processed with the aid of quality-assured ingredients and basic chemicals. The processing process is done at our vendors' premises who are selected by our procuring agents. 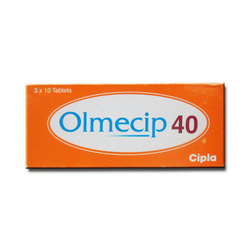 Our organization is counted amongst the most distinguished traders and exporters of finest quality Olmecip Drugs. We procure this drug from reliable vendors of the market. 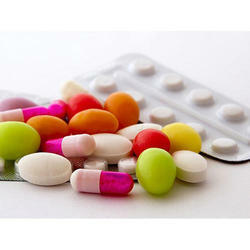 These drugs are used to treat high blood pressure (hypertension) that help in preventing heart attacks. Furthermore, we offer these drugs at market-leading prices. We are a coveted organization that is engaged in trading and exporting high quality Antihypertensive Drugs. 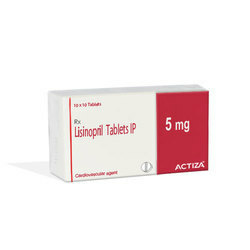 This drug is used for treating high blood pressure (hypertension) and heart failure. Known as alpha and beta-blocker, our offered drug is used to prevent heart attacks. Besides, this drug lowers heart rate and blood pressureby blocking the action of certain natural chemicals in the human body. 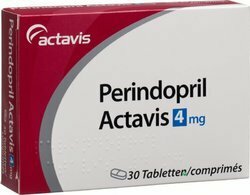 We are considered in the market to be one of the leading traders of these Perindopril Tablets. Manufactured as per the FDA guidelines, by reliable vendors, the offered tablets’ standard is maintained. 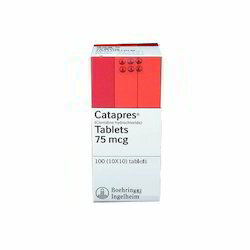 These tablets are used for treating high blood pressure in patients. Its precise pH level and accurate composition of quality ingredients make it highly effective in nature. Olmesartan Medoxomil Tablets offered provides suitable support in treating mild to moderate liver/kidney disease. Other than this, the medication is also prescribed for treating cases of heart failure/disease of heart valves, renal artery stenosis, severe sickness, people with high levels of potassium in blood, diarrhoea, patients with high blood sugar levels and intolerance to some sugars. Also supporting reducing high blood pressure, by relaxing the blood vessels, it can reduce risk of stroke, heart attack, heart or kidney failure. For fulfilling the ever-growing demands and needs of our customers, we trade, supply and export Bupron SR Tablets 150 mg. All the offered tablets are obtained from the trusted vendors of the market, who formulate these utilizing quality ingredients and latest technology. We also have a team of quality controllers, which checks these tablets on certain well-define parameters to ensure zero impurity.